WeatherBrains Episode 365 is now online (January 21, 2013). If you are crazy about weather, this is THE netcast audio program for you! Dr. Scott A. Braun, a research meteorologist at NASA’s Goddard Space Flight Center in Greenbelt, MD, studies hurricanes from the inside out. To do so, Scott is an expert at using satellite and aircraft data to investigate how hurricanes interact with their environment and computer modeling to recreate the components of hurricanes, including wind, rainfall, and in-cloud heating. Scott is also the Principal Investigator for NASA’s Hurricane and Severe Storm Sentinel (HS3) mission. HS3 is a five-year mission specifically targeted to investigate hurricanes in the Atlantic Ocean basin. In his role, Scott leads a diverse team of hurricane and instrument scientists to design and conduct experiments using unmanned aircraft to understand better the meteorological conditions that favor storm formation and often lead to the development of major hurricanes. To learn more about HS3, visit: espo.nasa.gov/hs3. Scott has a doctorate in atmospheric sciences from the University of Washington, Seattle, and a bachelor’s degree in science, with a concentration in meteorology from San Francisco State University. He was a research assistant at the University of Washington in Seattle, WA; a Postdoctoral Fellow at the National Center for Atmospheric Research (NCAR) in Boulder, CO; and has worked at Goddard since 1997. Scott is experienced in the physical and dynamic processes within hurricanes with emphasis on the influence of the storm environment on storm formation, intensification, structure, and precipitation. 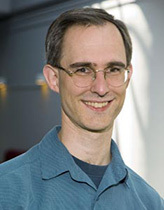 He studies hurricanes using a wide array of data including NASA satellites such as TRMM and Aqua, aircraft data from field campaigns, and computer modeling using the NCAR Mesoscale Model Version 5 (MM5) and Weather Research and Forecast (WRF) mesoscale models. The modeling and data analysis work supports NASA programs that have major hurricane components such as the Convection and Moisture Experiments (CAMEX-3 in 1998 and CAMEX-4 in 2001), the Tropical Cloud Systems and Processes (TCSP) experiment in 2005, and the Genesis and Rapid Intensification Processes (GRIP) experiment in 2010. It also supports research related to observations of precipitation in hurricanes and winter storms from the Tropical Rainfall Measuring Mission (TRMM) satellite by examining processes that control the amount and organization of precipitation in these storms. Using the models, Scott has studied the effects of vertical wind shear, a rapid change in wind speed or direction with height, on hurricanes using the MM5 Forecast model to simulate 1998’s Hurricane Bonnie and 2001’s Hurricane Erin. He has examined the updrafts near the hurricane’s eye to learn more about how they are organized in the eyewall and change in space and time, contribute to the generation of precipitation, and lead to storm formation. For example, using an MM5 simulation of Hurricane Bonnie (1998), he found that the timing and location of individual updrafts that produce the rainfall, often concentrated on very small-scales, are controlled by intense, small-scale regions of rapidly swirling flow in the eyewall. More recently, Scott has been interested in the role of the Saharan Air Layer on hurricane formation and intensity change. The Saharan Air Layer or SAL is a hot, dry dusty air mass that moves off of the African Saharan desert and forms an integral part of the environment for Atlantic hurricanes. Using NASA satellite and NOAA meteorological data, he found that once disturbances become tropical storms, the Saharan Air Layer is often not as influential in later development as previous studies had emphasized. Scott has received numerous awards including the Goddard Earth Science Achievement Award, the NASA Exceptional Scientific Achievement Medal, and group achievement awards for participating in NASA’s CAMEX-4, TCSP, and GRIP missions. He is also the project scientist for TRMM and works with the Global Precipitation Measurement (GPM) mission project scientist to lead NASA’s efforts to improve precipitation measurement from space. Our email bag officer continues to show up the old email officer as he aptly handles the incoming messages from our listeners. WeatherBrains 101: Our 101 segment continues with a multi-part series focusing on the newest enhancement to the Doppler radar, dual polarization. This week the topic is Differential Reflectivity, or ZDR, one of the new products available from radar sites equipped with dual polarization. TWIWH: Bill Murray looks back at the week of January 21st which focuses on the January thaw! Brian Peters – Gets the Fog Horn!!! The WeatherBrains crew includes your host, James Spann, plus other notable geeks like JB Elliott, Nate Johnson, Bill Murray, Kevin Selle, and Brian Peters. They bring together a wealth of weather knowledge and experience for another fascinating netcast about weather.